Trauma cleanup is the act of taking a space contaminated with violence or traumatic injury and making it habitable again. Cleaning up in the wake of a violent accident or crime is difficult. The physical labor involved doesn’t hold a candle to the emotional pain. Dealing with the aftermath is painful even if you didn’t know the victims. Landlords and property managers can also struggle with cleanup. Trauma cleanup plans can take care of this difficult task for you. We get the job done fast, leaving the space in usable condition, and we act as a buffer between the authorities, you, and the mess left behind. Trauma cleanup typically involves a lot of specialized tools. Many violent crime scenes have biohazards present. Stain removal and odor removal are also key factors in returning a space back to usable condition. Removing hazardous material requires the right gear. Safely transporting biohazards (and providing crews with safety during the initial cleaning phase) isn’t easy! A professional trauma cleanup team can handle this right away. We already have the proper equipment, so it also saves you the additional expense of having to purchase heavy duty cleaning tools you’ll only use once. Trauma cleanup itself can be traumatic. Most people will go their entire lives without dealing with a gruesome scene like this. Hiring a professional trauma cleanup crew is the best way to maintain distance. Family and friends can find the process of cleaning up a violent area as difficult to process as the event itself. Don’t lengthen the amount of time you are suffering, or subject yourself to scenes you shouldn’t have to face. Getting the space back to usable condition is the first step towards a properly rehabilitated space. If you’re a property manager or landlord looking to return the space to marketable condition, a thorough cleaning by a professional trauma cleanup team is a must. Even if the space is just a personal or family space, lingering in the middle of cleanup isn’t helpful. As long as the mess is still there, you won’t be able to move on from the event. By completing the cleanup process quickly, you can put the past behind you and begin to heal. Trauma cleanup can be extremely difficult for reasons both practical and emotional. Faced with the aftermath of a traumatic event, many people find that the stress of cleanup prolongs the grieving process. It makes it tougher to heal. Trauma cleanup, especially dealing with biohazards, can be difficult without the proper tools and training. Hiring a trauma cleanup crew eases this painful time. 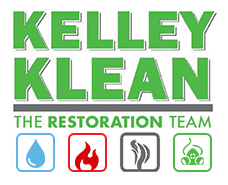 If you are in need of professional trauma cleanup, call Kelley Klean at 573-559-3197 today.